FRIDAY THE NINTH OF MAY, 2014 rolls inexorably closer and it’s almost at long last time to go back to Edinburgh. It is always time to go back to Edinburgh but this occasion feels especially significant. Those early dark days of February saw a call to that dear group of volunteers, The Samaritans, when at first it all felt just a little too much and I didn’t wish to go on. There was another long talk with a suicide bereavement counsellor who spoke to me in a straight and forthright manner. How could I ever live the rest of my life after this horrendous experience? What meaning did it have? Survival mode kicked into place and I decided to play this game of life with a straight bat, without the ‘assistance’ of medication or by misusing alcohol. I also knew instinctively that my friends could help too, by talking, by me asking for and accepting their support. None more so than a close friend here in Nottingham, my dear friends in Edinburgh of so many years and by a new friend from that city brought to me like an angel. I won’t embarrass those people but if you’re reading, you know who you are. Thank you from the bottom of my heart for all you have done for me. So on to tomorrow. I catch that familiar train and will walk upon Edinburgh ground by lunchtime tomorrow. I have awaited this time and upon feeling ‘up to’ doing it. 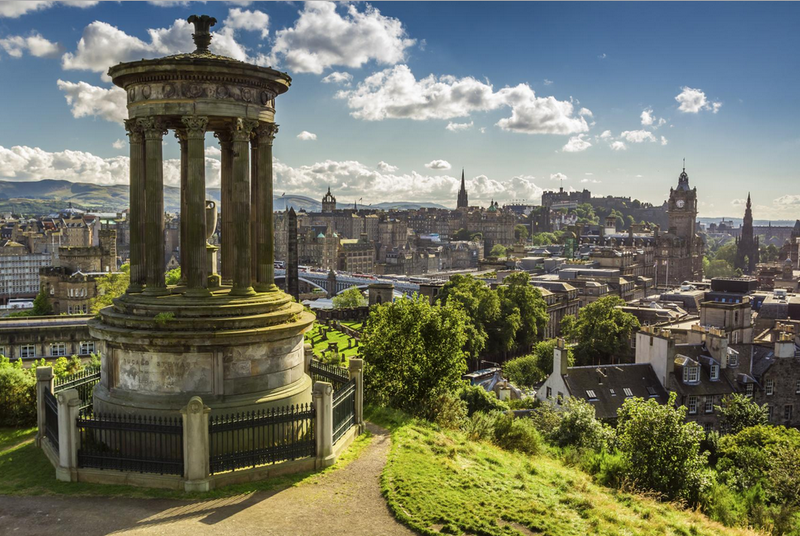 Being in and around Edinburgh, with all it’s memories can have a powerfully emotional feeling for me and I needed to be ready to use that constructively. I’m now ready and it’s part of the pathway ‘back’ for me. I have a Hibs-related surprise awaiting me tomorrow! A sweet gesture by my aforementioned new friend which I in turns feel intrigued and happy about. The fates have conspired to offer up a hugely important game for my beloved Hibs at Easter Road on Saturday which I will attend. Excellent sense of theatre lads but I nevertheless wish you had sorted out the relegation worries ahead of my visit to Leith! God bless the Hibs. Anyway, I’ll try to fight the impulse to get down on the floor and kiss good old Edinburgh ground when I alight at Waverley tomorrow. After all, I’ve things to do and good people to meet. The very best. Wha’s like you? Oh Stuart … I have no pearls of wisdom despite having been through the same. Hold on … just hold on. Lissette, I had no idea, I wish you well with your personal journey and I’d like to say that I can empathise. Thank you as always and I will certainly hang on.